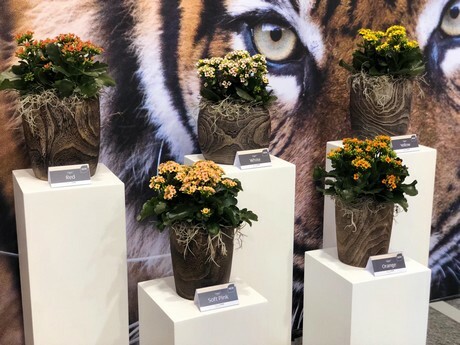 Dutch kalanchoë breeder SlijkermanKalanchoë launched a new kalanchoë series at the IPM in Essen (Germany), held this week. The new series single flowered types consist out of 15 different colors. The typical strong contrasts in the flowers with dark eyes are reminiscent of the fur of the tiger, hence the name. 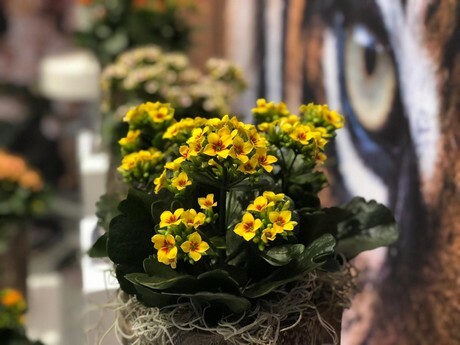 Slijkerman believes that with the introduction of the Tiger series, single flowered kalanchoë becomes trendy and fashionable again. It’s the next generation of single flowered kalanchoë, so to say. During the first days of the IPM, Slijkerman received a lot of very positive feedback on the new introduction. 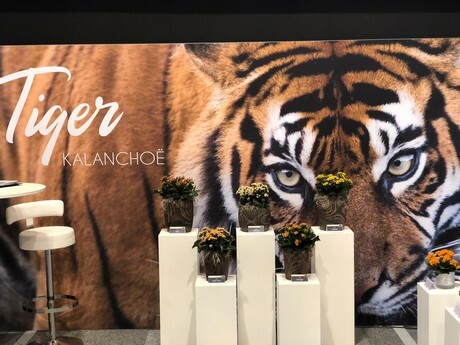 This new Tiger series will be commercially available for kalanchoë growers worldwide from approximate end of 2019. The current varieties are recommended for growing pot sizes 10 cm up to 15 cm.